As a normal website user, it would really be a big thing if a website has a section that can be accessed and viewed regardless of where you may be in the midst of a page’s content. As a website developer, imagine an experience that you can give to the user that requires him to scroll up the same distance he scrolled down the page just to check a section again. In this case, there can only be one solution: sticky section. Sticky sections or fixed sections are those sections on a webpage that remains visible and in the same position as the user scrolls down and moves about a site. Sticky sections can be a help for users to not feel distracted or uneasy because he knows that the content that he needs is right in front of him. 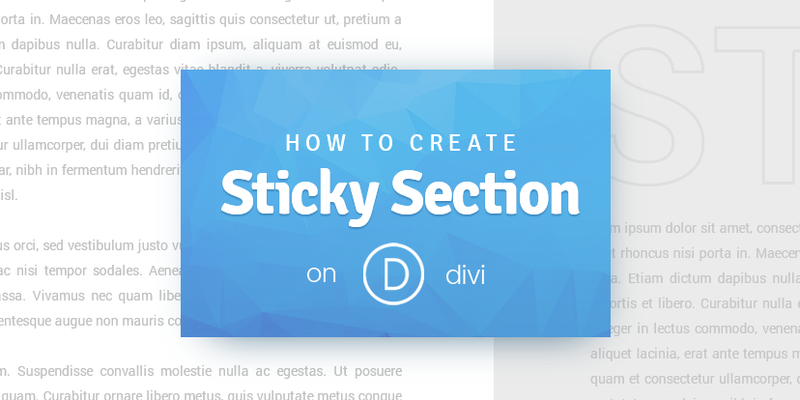 In this tutorial, I will be teaching you how to create a Sticky Section in Divi. STEP 1: Identify which section would be sticky. STEP 2: Assigning class to the section for the sticky and stopper. 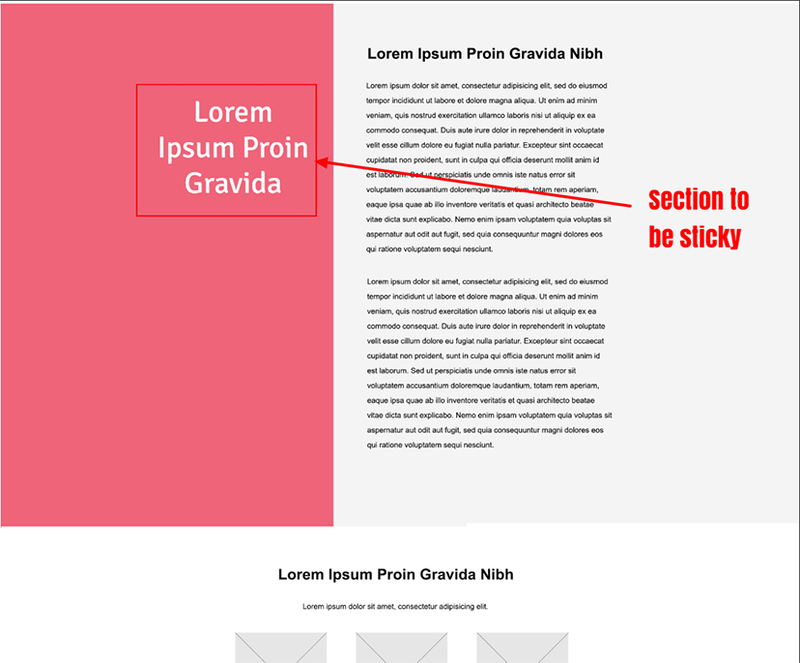 1.The screenshot explains the section for the sticky section, content and the sticky-stopper. 2.For this layout, I used Special Section for the page. 3. Open the Module Settings. 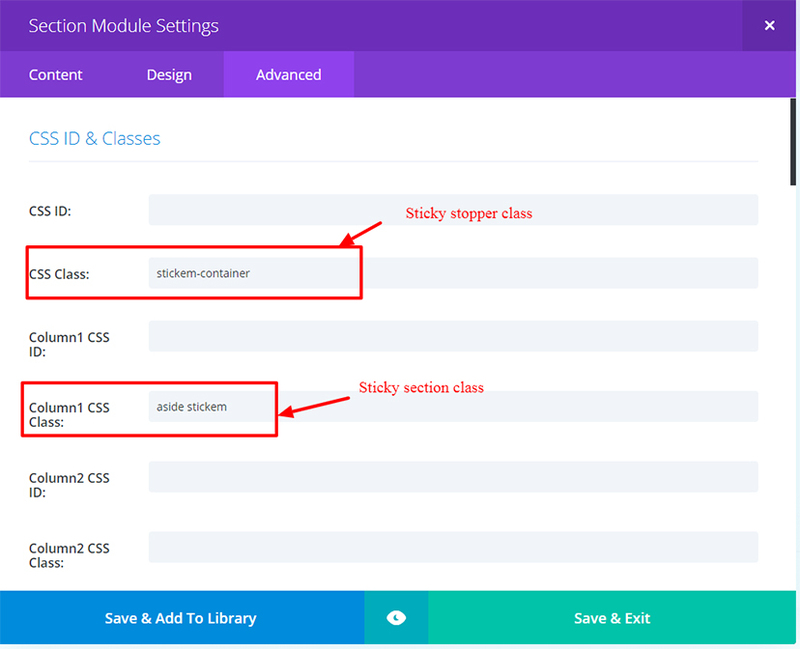 4.When you open the Module settings, go to Advanced then assignthe class for the stopper and sticky section. (Note: I used special section for the layout). 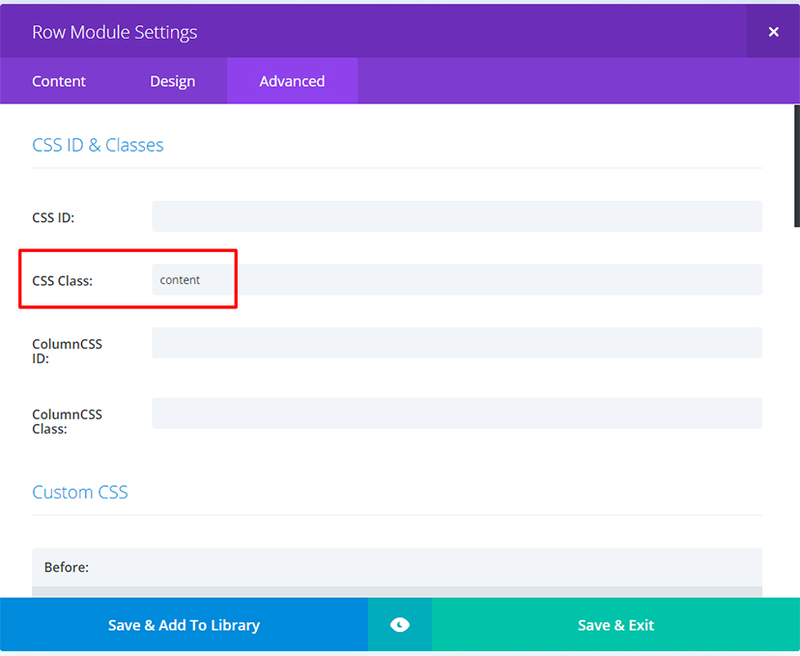 5.Then, the next step is to assign a class for the content. STEP 3: Uploading the file needed for the sticky section. 1. Attach the files needed for the sticky section and upload it to your JS folder on your Divi child theme. 2. Then, place this script on your footer before the body tag. Place the CSS on your style.css.